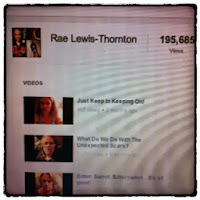 Rae Lewis-Thornton: Diva Living with AIDS: My You Tube is GROWING! POW! 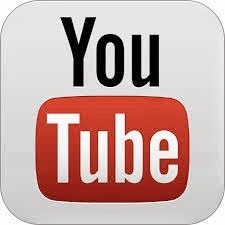 I've been off my You Tube Game!!! So today I took a look at my Channel and to my surprise, I have had 195,685 views. Now this is remarkable given the fact that just last May, that is May 2012, I only had about 3,000 views. I have grown is such a short period of time... Thank you so much for your support. I was overwhelmed to learn that I have 903 Subscribers, WOW... All I can say is that God is using me and I'm doing the work... So, as of this week, I will be back on my You Tube weekly with both words of wisdom and updates on my journey. If you have not subscribed, I would love for you to become a part of the family Click HERE!